Turn the Tide on Plastic finishing in Itaji. 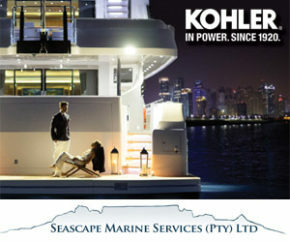 This was always a leg billed as the toughest, yet the one crew were most looking forward to. It was also the leg in which a man was lost overboard and in which Vestas was dismasted. 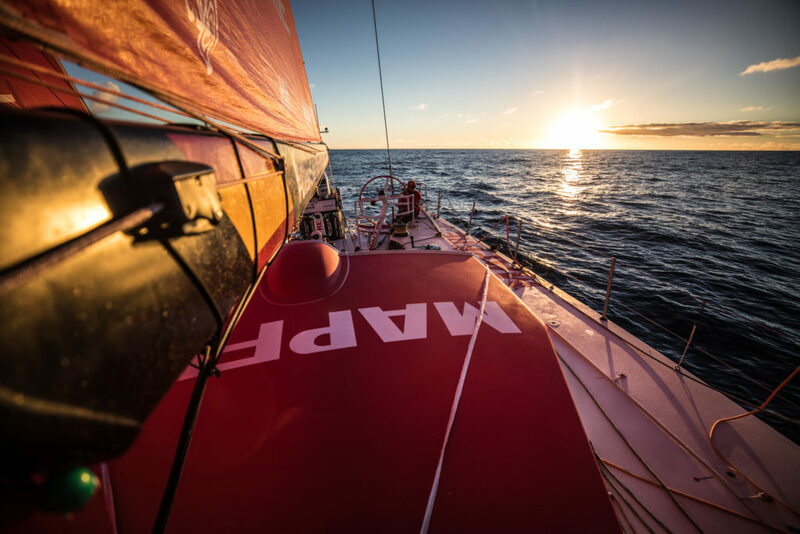 Plus, MAPFRE had mast damage which she chose to affect temporary repairs too just shy of Cape Horn, and having suspended racing for 13 hours, she ruled herself out of the running for the leg. And then, after the leading two finished within 15 minutes of each other after 7600nm of racing, the wind appeared to shut down, making progress painfully slow for the rest of the fleet. 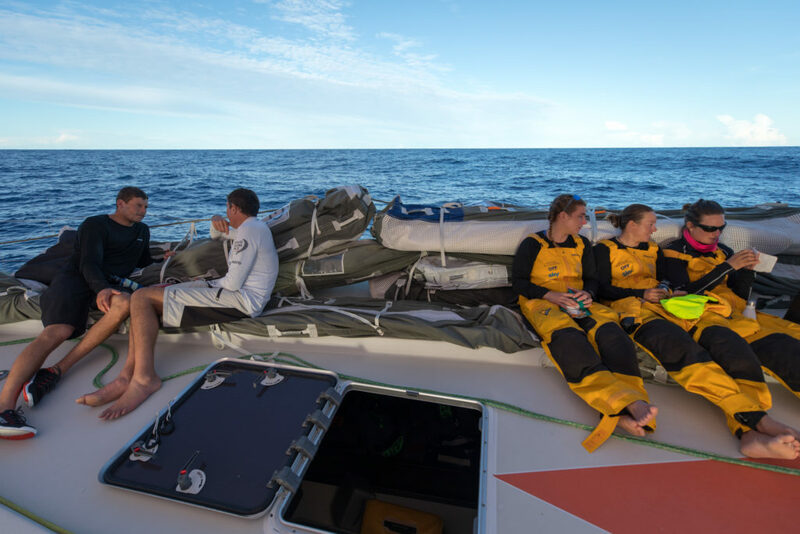 The light winds allowed the crew of Turn the Tide on Plastic to relax a little and take time over their meal. 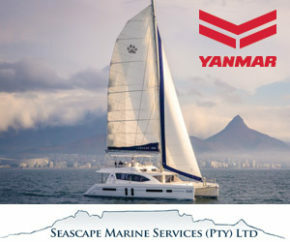 When Dee Caffari’s Turn the Tide on Plastic ghosted across the finish line in fourth place they posted their best result to date, demonstrating the growth of the youngest and most inexperienced team in the race. But after passing Cape Horn, the team noticed an issue with its rig – one of the spreaders had moved out of position, putting the mast in jeopardy. 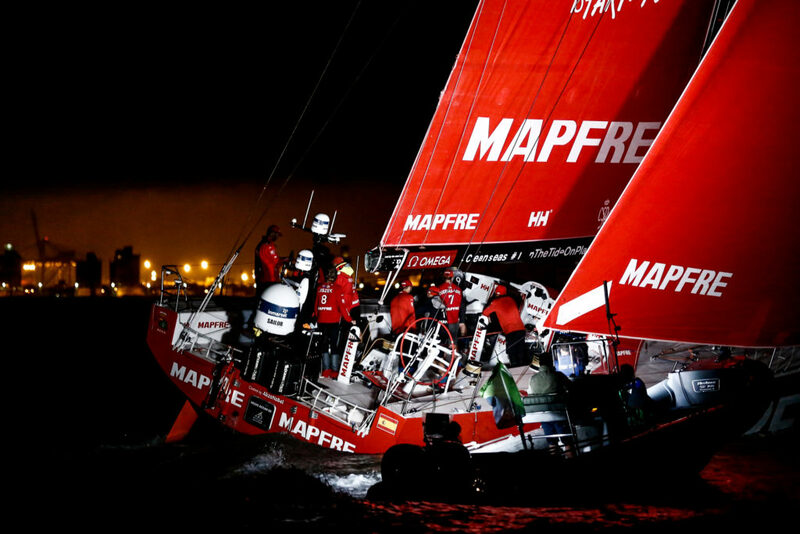 When MAPFRE crossed the finish line in 5th spot they handed the overall lead in the race to Dongfeng – with just a single point now separating them at the top of the leaderboard. “It’s been difficult for all of us,” Fernández said. “We were expecting much better, but it’s not the end of the world, it’s not so bad. 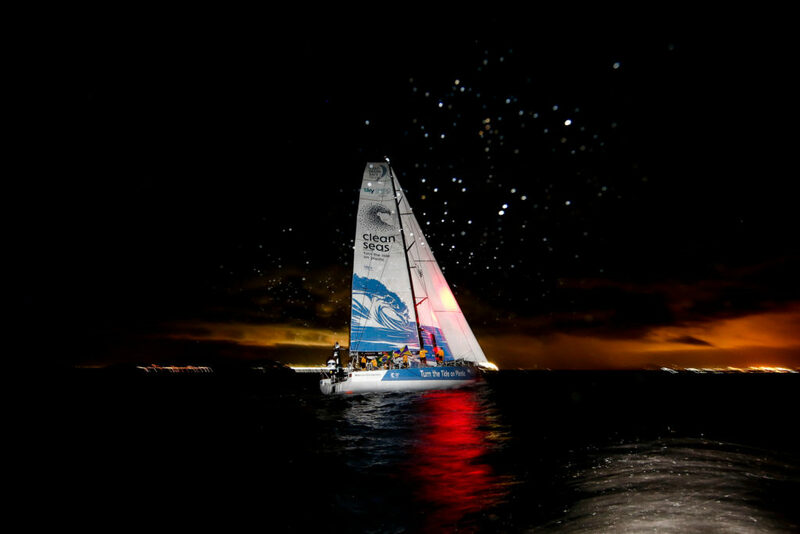 The sun setting behind the transom of MAPFRE as light winds plagued her in the closing stages of Leg 7. Team Sun Hung Kai/Scallywag has now departed from Chile with a delivery crew on board and making a dash for Itajaí. Meanwhile, Vestas 11th Hour Racing is working hard to get the boat from the Falkland Islands to Itajaí, most likely under motor.